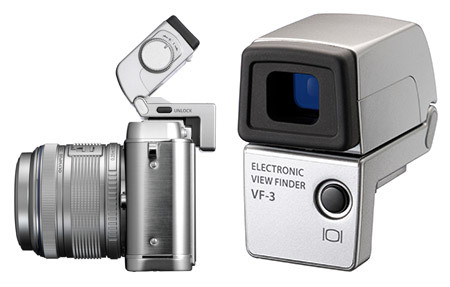 London, 27 July 2011 � Olympus has launched a new high-resolution electronic viewfinder to boost the imaging power of its stylish PEN Micro Four Thirds cameras � the new PEN (E-P3), PEN Lite (E-PL3) and PEN mini (E-PM1). The VF-3 offers a 100% field of view and more than four times the resolution of rival electronic viewfinders for comparable cameras, so it�s ideal for capturing high-zoom close-ups in excellent picture quality. Compact, lightweight and just as sleek as a PEN camera, the VF-3 tilts up to 90� making it easy to shoot movies and stills from tricky angles, even in difficult light. The VF-3 is available from mid-August 2011 for �179.99. To read the rest of this release please the attached pdf along with two sample images.